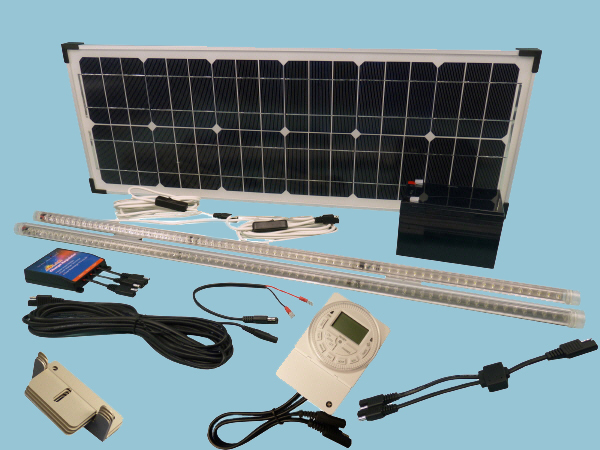 Standard solar security lights tend to be powered by small batteries charged by small solar panels and this means the LED's are not very powerful. 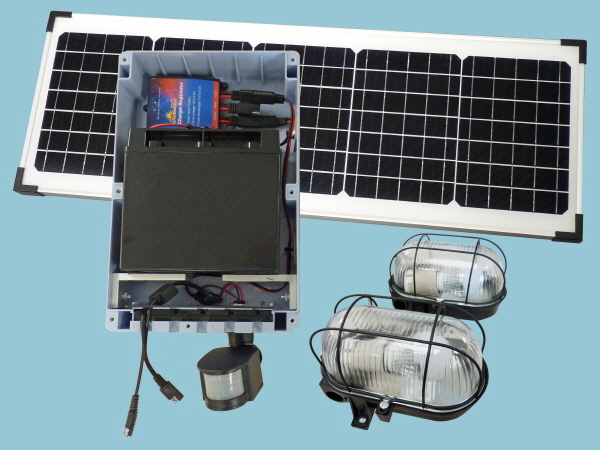 This kit boasts a powerful 20W 12 volt LED Floodlight with a PIR sensor and is powered by a maintenance free 7.2AH sealed lead acid battery, this is housed in a weatherproof IP65 outdoor power box along with a solar charge controller that in turn protects the battery from over-discharge from the LED floodlight and overcharge from the solar panel. 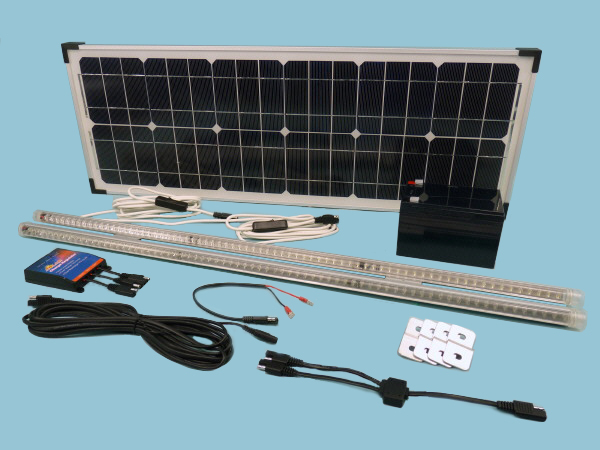 Both the solar panel and the floodlight come pre wired for quick and easy plug and play installation, the floodlight is fitted with 5M of cable allowing the solar panel to be positioned for maximum performance. 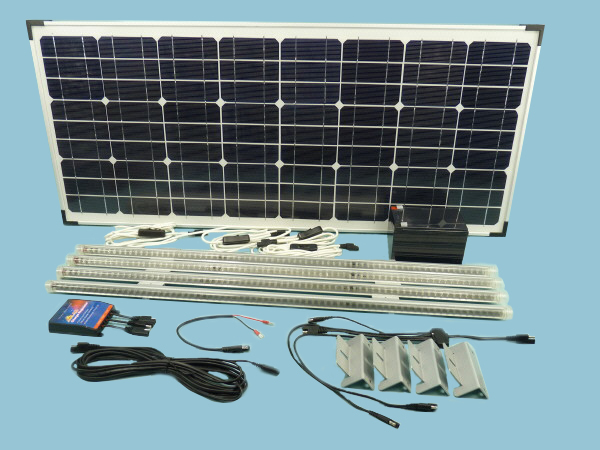 Mounting the solar panel is achieved with ease using the heavy duty wall brackets supplied, when wall mounted the weatherproof box fits comfortably behind the solar panel hiding it from view. 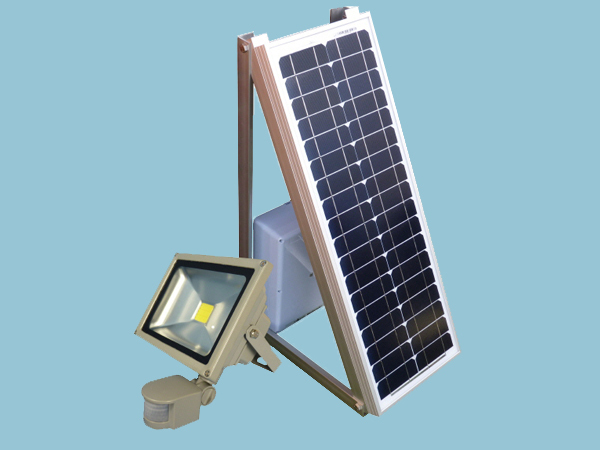 The LED 20W PIR floodlight is the equivalent of traditional HQI/SON floodlights. Made of heavy duty cast aluminium and having an IP44 rating makes them weatherproof and suitable for any installation. They are outstandingly bright, created by single LED chip technology with a lumen output of up to 1670lm and an impressive 40,000 hours of lamp life. They come with a stirrup bracket for easy fitting. Having tested these LED lights we know you will not be disappointed, this is low energy lighting at its best.